Featuring Android 16, Android 18, Piccolo, Krillin, and more. 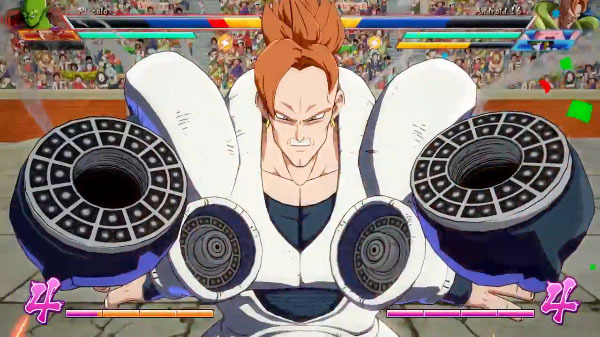 New gameplay footage of Dragon Ball FighterZ featuring newly confirmed playable characters Android 16 and Android 18 has surfaced online. If you missed it earlier today, Bandai Namco released a new trailer and set of screenshots showing the Androids, Super Saiyan Blue Goku, Super Saiyan Blue Vegeta, and story mode. Dragon Ball FighterZ is due out for PlayStation 4, Xbox One, and PC in February 2018.